Two men have been arrested after a man was stabbed in Arundel last night. A 31-year-old man is in hospital in a serious condition following the attack in Herington Road last night, police say. The investigation is ongoing but officers believe the man was targeted. A Sussex Police spokesman said: “At 8.35pm on Tuesday police received a report that a 31-year-old man had sustained a stab wound to his body in Herington Road, Arundel. “He is receiving treatment at St Richard’s Hospital in Chichester and was currently assessed as being in a serious condition. 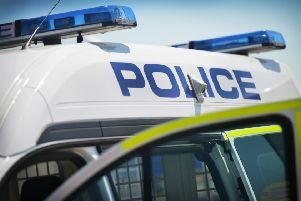 A 32-year-old man from Arundel has been arrested on suspicion of causing grievous bodily harm and a 34-year-old man from Westergate has been arrested on suspicion of causing actual bodily harm. Both are currently in custody for interview and further enquiries. Anyone with information is asked to contact police online or via 101, quoting Operation Rushton.